Jocelyn Pook was born in Solihull and received her formal musical education in London at the Guildhall School of Music and Drama. As a viola player she has performed with artists such as The Communards and Massive Attack, and formed the quartet known as "Electra Strings" with the Australian violinist Sonia Slany and others, which later became known as "Brilliant Strings". Her career as a composer started out in theatres and concert halls until the mid-1990s with a move towards the cinema, firstly with a documentary film called "Blight" and then more prominently with the score to Stanley Kubrick's "Eyes Wide Shut" in 1999. The film contains an eclectic collection of music, grounded by some suitably mysterious underscore by Pook, most especially the Masked Ball sequence with its backwards samples. This film seems to have helped to kick-start an accelerating career for Jocelyn Pook in film music and the composer has since gone on to score "The Merchant of Venice", "Brick Lane" and "Heidi". 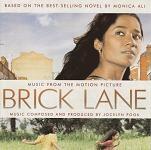 Brick Lane is a film set partly in Bangladesh, and perhaps this led to another of Jocelyn Pook's projects called "Desh". For "Desh" (meaning "Homeland"), pook worked with choreographer Akram Khan to create a theatrical dance experience using music and sounds evocative of Bangladesh. They went to the country's cities and towns and captured sounds and folk songs. Then Pook adapted, combined and augmented these recordings creating a number of evocative tracks for Khan's dancers. The music earned Jocelyn Pook a British Composer Award, and the music has now been released on CD (see recommendations below). 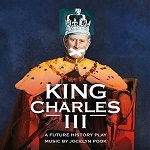 In 2012 along with other British composers, Jocelyn Pook contributed to the Queen's Diamond Jubilee celebrations, with a movement for the "New Water Music" as part of the Thames Pageant. You can hear a track from "Desh" on this video Invisible Girl and Jocelyn Pook's official web-site is at www.jocelynpook.com. Her "Adam's Lullaby" from "Brick Lane" was used on UK travel adverts for Tunisia in 2014, and she won a BAFTA award in 2018 for her music to the TV Series "King Charles III". 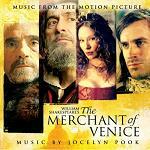 Here is a great selection of film scores from Jocelyn Pook. For "Eyes Wide Shut" make sure you get the album containing the score tracks rather than the album with the Stanley Kubrick source music. We have also included some stand-alone albums of Pook's music - "Flood", "Deluge" and "Untold Things".